Teething varies widely among babies. Some have no problem in the teething stage, on the other hand soem suffer in pain with every tooth. 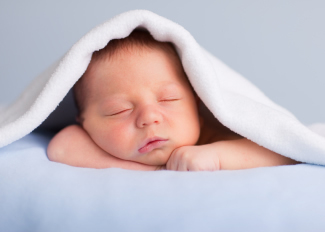 Most babies fall somewhere in the middle here are a few things you can do to help your baby through this stage with less pain. 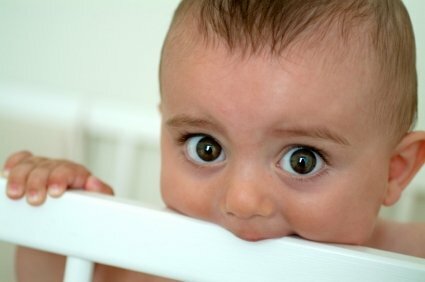 Teething varies widely among babies. Some sail through the teething stage with no problem, while others suffer in pain with every tooth. Most babies fall somewhere in the middle of those two extremes. There are a few things you can do to help your baby through this milestone with less pain. Chewing: As the tooth nears the surface, you may notice your baby is chewing on things. This could be his hands, toys or anything else that gets near his mouth. Chewing on teethers or other objects helps relieve the pressure of the emerging tooth. Drooling: When your baby is teething, you may notice that she drools more. You may find that you have to change the baby’s shirt or use a bib to keep the baby dry. Some babies get a rash on the chin and neck as a result of drooling. 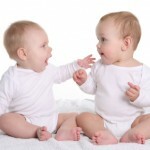 Fussiness: Some babies get fussy when they are teething. Some are only fussy with the first two teeth. Others may become irritable with every tooth that comes in. each baby reacts differently to teething. Disrupted Sleep: When your baby is teething, her sleep might be disrupted. For many babies, the pain seems to be worse at night. Waking at night during teething is common, especially when the baby is cutting her first teeth and the molars. Fever: This symptom is hotly debated among parents and physicians. Many doctors say that babies having fevers when they are teething is a myth. Many parents disagree and swear their babies tend to run low grade fevers. A high fever is an indication that something other than teething is going on. If you suspect your child may be sick, call your doctor to be sure. Runny Nose: Some babies get a runny nose when they are teething. This may happen because the baby is putting his hands and other objects in his mouth. Putting things in his mouth can result in catching a [tag-ice]cold virus[/tag-ice]. Give the baby something to chew on to help alleviate the pain of teething. Teething rings and teething toys are safe for baby to chew on and help relieve the pressure of the new tooth moving through the gums. The water filled variety can be chilled in the refrigerator. Sometimes chewing on something cold will be helpful for your baby. Cold yogurt or applesauce may feel good on the baby’s sore gums. Some parents find success with giving the baby a frozen waffle or bagel to chew. If you do this, you need to keep the baby on your lap. When the waffle begins to thaw, take it away to avoid the [tag-cat]baby[/tag-cat] biting off a piece and choking. Topical gels, such as [tag-tec]Baby Oragel[/tag-tec] may help temporarily relive the pain of teething. The effect is only temporary and some babies object to the bitter taste. Some parents worry about the ingredients and opt for a natural remedy. There are homeopathic remedies for teething, made by companies such as Hylands that may help your baby cope with the pain. 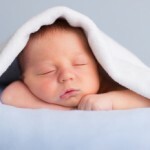 If the pain is severe, you may need to give your baby a dose of Tylenol to help him sleep. Ask your doctor before administering a pain relief medication. This may be helpful as a last resort if nothing else is working and the baby can’t get enough rest.